In order to test the currently known and generally accepted interpretations of gravity one must run across Isaac Newton’s work as well as many others before and after his time. Then one will find the Theories of Relativity by Albert Einstein intertwined with current quantum mechanics and string theories. The advantage to writing thoughts on the subject for me may simply be my time (the year 2016) and the tools available to me as a result of engineering and application progress since these thinkers postulated. One has to be open to new ideas and conceptualize thought experiments and test apparatus to verify them. Another approach to validating theories is to find everyday hints or historical examples of these new theories at play. It is my intention to both satisfy a new understanding of gravity, space, and time and be mathematically easy to follow. So without hesitation let’s roll up our sleeves and consider time. Time is a measurement tool that we use to determine and compare sequences of events relative to other events. We may for instance look at a time stamp on an email or see which athlete runs the fastest 40 meters by a stop watch. Humans have a perception of time though no real way to actually measure it unless we use a time keeping device such as a wind-up watch, modern time-synchronized IPhone, or the sun’s position at a given location. From well before da Vinci’s applications to modern day digital clocks there is certainly a concept of time. The natural human-biological perception of time can be influenced by many factors some psychological and others based on physical stresses, exposure, and uncertainty. Human perceptions of gross time, i.e., the seasons, are influenced by previous experiences and current sensory inputs that may result in that feeling of summer/fall/winter/spring or lunch time is here. One may even develop their own technique or sense for determining the amount of day light left without the use of an engineered time piece. You could time yourself counting seconds and generally be accurate for short time frames. However to truly be accurate a time keeping reference is preferred. Humans have engineered clocks to help measure time for millennia. Some clocks are based for instance on sun and Earth positioning while others are built from gears, pendulums, digital oscilloscopes, and even the frequencies of atomic half-lives. A standard base unit of time for science and various culturally significant based calendaring systems have been developed. Let’s consider two time keeping apparatus that are easily tune-able to human perception of time. 1. 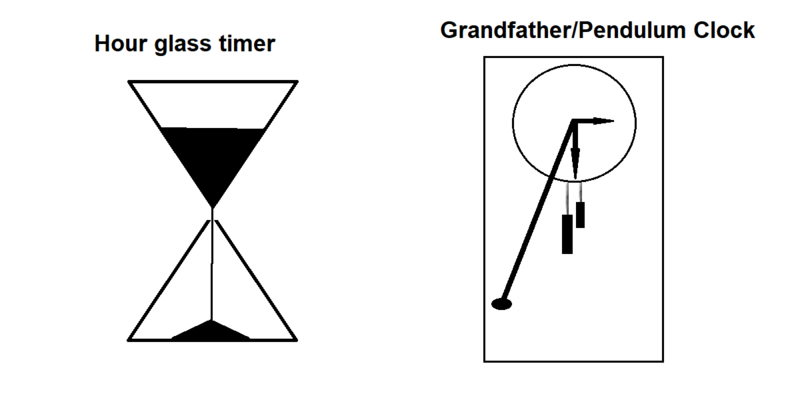 A sand timer and 2. an upright pendulum clock. Both of these are accurate enough for their purpose and can be tuned to their application and geolocation’s gravity. The sand timer for instance is tuned to time 1 minute if you turn it over on the table while the pendulum clock is tuned to illustrate the time of day. These devices are very useful for their design and the accuracy is absorbed by human perception. You may also if you wish check these apparatus within seconds by using another known time source. We could endeavor to describe all of the physics which make these time keeping devices work, however at this point let’s just acknowledge that they do and that we have mastered them to verified precision. We now conceive a way to build these devices and safely deliver them to the current International Space Station, ISS . The multiple digital clocks on board the station are known and synchronized with Houston. These digital clocks can be within their otherwise experimentally tested margins of error and accurate enough to use as reference clocks. The astronauts reassemble the pendulum clock and unpack the other experimental components. The ground teams and engineers devise several independent experiments using the pendulum clocks and sand timers, such as counting “One Mississippi’s”, or the run time of independent local events. Astronauts set the current time on the pendulum clock by a simple mechanical action and on-my-mark command while the sand clocks are turned over. The experimentation is setup and the tests begin. According to our timing apparatus which are identical both on the Houston side and the space station side we experience an interesting phenomenon. It appears as though time has stopped on the space station. Both the pendulum clock and the sand timer on the space station are still more or less frozen, floating weightless where they started. The Houston pendulum clock reads roughly what the perceived passage of time would be. The sand clock in Houston efficiently counted 1 minute and ran out. The astronauts on the space station are forever counting one Mississippi if they are to reach the one minute mark of their timing apparatus. In order to correct our experimental apparatus we could devise some enhancements. Let’s consider these. We consider adding perpendicular thrust components to the station as we speed up and slow down along its orbit path. A thrust system is aligned to increase the orbital velocity while the second thrust system is aligned perpendicular to the orbit to keep the station at an altitude of 400 km. As the ISS increases velocity the crew and station start to experience a perceived top and bottom. The perpendicular thrust system ramps up to 1 g (gravity ~9.8 m/s2) equivalent thrust and the space station now has simulated gravity in the upside down orientation to their counter parts in Houston. When the astronauts look up they see the Earth’s surface moving by. In order to provide 1 g equivalent gravity on the space station at 400 km it would be required to move faster. The orbit speed would have to be enough to cancel the gravity and provide gravity simulation in the other direction. We approximate 1 g for gravity on Earth to be 9.8 m/s2. The gravity at 400 km is approximated experimentally at about 8.6 m/s2, thus the current velocities and orbit of the space station to cancel gravity and provide a weightless environment. If we were able to provide enough thrust along our orbit path and thrust perpendicular to the ISS orbit then the orbit would become less elliptical and faster. The speed needed to obtain a full g equivalent, cancelling ~8.6 m/s2 at 400 km and providing ~ 9.8m/s2, at 400 km altitude would be a mere 11,161 m/s. The overall centripetal acceleration that these perpendicular thrusters would have to supply is 9.8 m/s2. This sustained perpendicular thrust would keep the orbit at 400 km and oppose the centrifugal acceleration proving cabin comfort as well as a means to upright our experimental clocks. Centrifugal acceleration is used to model the acceleration a body feels when moving about a fixed center at sustained velocities. Using all units metric, where km = kilometers, m = meters, and s = seconds or earth seconds or Mississippi's. Basketball and football refs use a waving arm motion to indicate that they are counting in seconds. 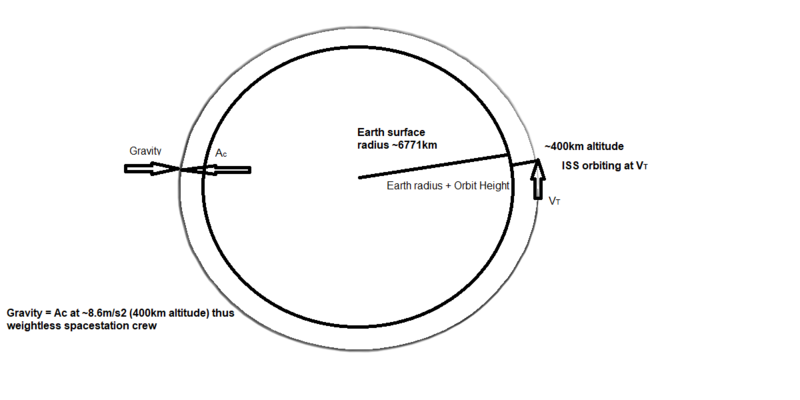 Illustration of Earth radius and orbit of Zero G cabin. Drawing not to scale. The above equations show cancelling gravity forces to maintain a weightless cabin and space station. In order to provide 1 g simulation your thrust system would have to now provide a Fcentripital component for the ISS mass as the velocity of the orbit increases. Our space station would now have a floor and upright gravity simulation, albeit in the upside down orientation to the Earth’s surface. If we now setup our experimental pendulum clock and sand timer we would see more normal operation compared to what we see in Houston. When the astronauts turn over the sand timer it would run approximately 1 minute as designed in 1 g. The pendulum clock would now keep time as the pendulum and clock masses would now have simulated gravity to keep them moving. When the apple fell on Newton’s head he had the brilliance to model it as the acceleration due to Earth’s gravity. Gravity is the physics reality that keeps our feet on the ground and gives us the feeling of whether something is perceived heavy or perceived light. Newton was able to measure gravity and equate the acceleration due to gravity of an object to its weight or mass. Early weight measurements would use offsetting counter weight scales to determine how much something weighed and standards for measurement of weights evolved over the years. Experimental verification and many test apparatus have been developed over the years and 1 g refers the average feeling of gravity on the Earth’s surface. The measured and modeled gravity field of the Earth is determined to drastically taper off as you leave the Earth’s atmosphere. We have measured the Earth’s gravity field variations and mapped gravity around our planet. Differences in gravity are measured between sea level and high altitude locations. One cannot consider Earth’s gravity without considering its two most influential neighbors. The sun and the moon provide measurable gravitational effects on Earth. As the Earth rotates, its tides and atmosphere are obviously affected by these gravitational neighbors. The moon is very important to our life experiences on Earth and we see evidence of the moon’s gravitational effects in many places. The ocean’s tides for instance are based on the moon’s distance and perceived orbit around the Earth. The sun’s gravitational effects on tide are noticeably less, however when the moon and sun are in certain alignment the tidal effects are additive and amplified. The tilt of the Earth on its axis as well as the moons orbital inclination maps a distinct relationship for the moon’s apparent path around the Earth. The moon cycle is predictable and has astronomical calendars tying the Earth’s calendar to the position of the moon in our orbits. The moon’s orbit is elliptical in nature and is being measured as moving away from the Earth slightly over time. This reality presents a slight elongation of the elliptical orbit. Many theorize and calculate this inching away of the moon will happen until at some point possibly millions or billions of years from now it will be far enough and fast enough on its elliptical orbit that it will break free from Earth. As mass momentum dictates orbiting bodies tend to take on natural oscillations such as free swinging pendulums on Earth. This constant gravitational tugging and giving is why orbital variations present themselves. As with large hanging pendulums on Earth the orbits of bodies tend to take on elliptical patterns as the orbiting bodies are accelerated and slowed about an apparent center. Obvious correlations to the moon’s gravity are measured in the tide forecasts for coastal regions. As the moon orbits the sea levels rise and fall to predictable schedules. Due to fluid inertia, spin of the Earth, and the moon’s orbit these tides tend to be more drastic towards the north and south poles. These tides contribute to dynamic oceans and ocean currents. General currents of the ocean and upper jet streams tend to move ahead of Earth’s rotation, i.e. the pro-grade direction. If the Earth is a mass inertia system that is slowly losing momentum, then why are the jet streams moving faster than the Earth’s rotation? Jet streams are induced significantly by the gravitational effects of the moon’s travel around the Earth. As the Earth rotates the lead edge of the moon more or less represents the gravitational apparent center of mass from Earth, while the moon feels the gravity center of the Earth through Earth’s constantly approaching western hemisphere. As tides and atmosphere between the moon and Earth are tugged by each moon pass they are tugged in the general west to east direction. Thus the pro-grade motion of the Earth’s upper atmosphere and jet streams. See Venus super rotation explanation for illustration of gravity mass momentum and upper jet streams..
Due to the moons inclined orbit around Earth’s tilted axis, the atmosphere of the north and south poles are subjected to more sustained effects of the moon’s gravity. This translates to faster jet streams close to the north and south poles as well as more drastic tides. If the gravity neighbors of Earth can affect the tides and atmospheric patterns above the Earth’s crust then the heavier core and mantle must also see signs of this orbiting partnership. We know that there is an inner core surrounded by a mantle, large flowing magma layers, and extreme heat and pressure. There has also been seismic verification of Earth’s layer depths with the appearance of a seemingly solid inner core. Further the seismic measurements tend to move faster in certain directions through the core and slower in other directions through the core. Whether the core is solid or super heated plasma is debated, however it must be spinning and my speculation is that the core is spinning in a similar west to east direction while wobbling internally similar to the Earth’s axis. One can imagine if the surface of Earth’s crust is as varied as it is then the bottom of the Earth’s crust must be substantially varied. Evidence of this lies in the formation of continents and plate tectonics. We also know that the ocean bottom is varied with clear geographic features along plate boundaries. It is easy to point out the long term evidence of the moon’s lasting effects. We see evidence at virtually every fault line, coast line, and mountain range. North to south running fault lines and mountain ranges are a result of gravity tidal waves and west to east currents both under and above the Earth’s surface. The Earth’s long lasting relationship with the moon has created and contributed more to our terrain on Earth than we have historically given it credit for. Internal layers with mostly west to east directions become apparent when you observe how mountains formed and continents drifted into place. There must be a core or subsurface that is spinning faster than the Earth’s crust above it. Let’s now consider the Earth’s magnetic field using this new information. The Earth’s magnetic field is entirely due to the Earth’s rotation, gravity partners, and inner core momentums. The Earth’s core and mantle are known to contain significant amounts of iron and other metals. The spinning motion of the Earth’s core and liquid mantle induces magnetic fields. Extreme heat and flow gradients are in effect in the mantle creating fast flows that are persistently apparent in the west to east direction. The Earth’s magnetic field and dipole are further evidence of this physics model if you consider that the magnetic dipole is not on the same axis as the rotation of Earth. When you use a simple compass you measure magnetic north. This magnetic north is slightly different than Earth’s true geographic North Pole. As heavy metals take on geometric spinning they induce electromagnetic fields. Magnetic induction is used every day in electric motors and power generation. Our Earth has a magnetic field which has a magnetic north and south aligned slightly off of the true north of Earth’s spinning axis. This true north and magnetic north variance is easily modeled and detected. Maps often include correction for true north while modern devices may correct for this automatically. If you consider Earth’s tilted spinning axis, magnetic poles, and the moon’s inclined orbit, it is easy to see gravity in action. The magnetic dipole seems to follow a slight variance from Earth’s spin and seems to be inclined and induced by the moon! Each rotation of the Earth and the moon’s orbit induce a gravity driven magnetic dynamo below the Earth’s crust. Thus mass momentum and gravity are important to Earth’s magnetic field. We can correlate the actual magnetic dipole to the Earth’s rotation and gravity partners. That is the moon and Sun are strong indicators and cause of the Earth’s magnetic field. Earth’s magnetic dipole is inclined from true north and south in a direction and magnitude that correlates to the moon. This may not be a one-to-one reality; however we will find that the oscillation and location of the Earth’s magnetic field is influenced by the moon’s orbits. There are obvious variations in Earth’s gravity and magnetic fields along fault lines. Fault lines and plate tectonics provide opportunities for up-flows and down-flows of the flowing mantle. We may eventually find seismic measurements of internal tides to better predict earthquakes with this science. The Gravity Probe B, GP-B, experiment is also proof of this gravity theory. The results of the GP-B experiment simply measured and proved this west to east drift. The space-time fabric of previous, Einstein Relativity models are dated. Once you start to examine our planetary system you find interesting orbits and planetary characteristics at every stop. All of them are worth studying however let’s consider Jupiter. To further examine gravity and mass momentum a close look at Jupiter yields many clues. Jupiter is our largest planetary neighbor and orbits approximately 5 times further from the sun than Earth. Several findings regarding Jupiter’s magnetic fields, temperatures, gravity, orbiting moons and the red spot give us insight into gravity. These insights also yield a new way of looking at the solar system. Jupiter has a very large magnetic field that is 14 to 18 times that of Earth. Jupiter is also the fastest spinning planet. Even with its size of over an estimated 1300 Earths, it rotates, as perceived by the gaseous surface and magnetic field, in less than 10 hours. Jupiter maintains a very tightly spun mass momentum apparent by its small axial tilt, ~3 degrees, and low orbital inclination around the sun. The magnetic field of Jupiter is the strongest of any planet in our system. Jupiter is a giant magnetic dynamo. The inner core temperatures have also been measured many times higher than initially theorized. The planet yields a red infrared glow as well as red coloring apparent in the surface clouds and the Great Red Spot. Radio waves are detected as bursting from Jupiter further indicating high intensity metallic interactions. Static electricity presents lightning strikes on Jupiter that are suspected to be many times more powerful than the lightning strikes we see on Earth. The Great Red Spot of Jupiter has been observed for hundreds of years and is large enough to see with a relatively small telescope. The color, atmospheric patterns, and intensity of the winds have been observed and can yield more clues about Jupiter’s internal make-up. This very large storm rotates counter clockwise in Jupiter’s southern hemisphere. This funneling spot is thought to be similar to a hurricane on Earth, however this red spot is much more intense and the size of 3 Earths. The winds in the atmosphere of Jupiter are very powerful and fast compared to those on Earth. On Jupiter we see clear distinct stratification lines of the upper atmospheric jet streams. Jupiter has many moons in various groupings. The moons around Jupiter have been detected and classified based on their observed orbiting characteristics and make-up. Several moon groups have prograde motions while others have retrograde motions. Jupiter’s gravity and magnetic fields are also responsible for the planet’s attraction of matter. Several asteroid type bodies appear to be caught by Jupiter’s gravity and in the mix of known moons orbiting Jupiter. Until now scientists have deduced that Jupiter is 90% Hydrogen, ~10% Helium, and a small amount of trace elements. The truth is that science has deduced this simply by what we have detected in Jupiter’s upper atmosphere. If iron is so abundant in the solar system, then it makes sense that this huge planet contains it. Jupiter’s magnetic dynamo effect as well as the red coloring and infrared images would support this theory. Adding iron as a major component in Jupiter’s makeup would explain a lot. Let’s discuss Jupiter’s elemental composition. It makes more sense to me that Jupiter for its size and location in the solar system would contain a much richer elemental make-up. Jupiter’s atmospheric layers with extreme temperature and pressure gradients would easily imply that many compounds such as methane and water have potential zones where they may present themselves in ice, liquid, or gas forms. It is easy to conceive that in an atmosphere as large as Jupiter and a core as deep and thermally active as it seems to be that many forms of matter in a variety of elemental compositions may be present. Jupiter has obviously absorbed and will continue to attract more orbiting matter. This matter in the form of caught asteroids and other bodies contains concentrations of metals and other elements. As these bodies are absorbed by Jupiter it feeds a large mass momentum engine. The astrospatial density around Jupiter is dense while its location in the solar system is largely a result of the matter near this region over time. The asteroid belt’s proximity and orbital resistance with Saturn are instrumental in Jupiter’s development as a large mass momentum and fluid thermal engine. I propose that Jupiter contains much heavier core elements including iron, carbon and other dense hydrogenated metals, nickels, and varieties of crystalized elements. The intense and very large thermal heat mass of the core eventually results in a compressed less viscous body that we will call body N. This compressed less viscous body N tends to take on mass and size near Jupiter’s center in a mostly spherical geometric shape. This less viscous body N cannot obtain the exact geometric center of Jupiter, so as this dense slightly less viscous core grows it tends to spin and wobble about the true center of mass of the entire mass momentum system it finds itself in. Its wobble continues to find it further from the true geometric center of Jupiter as it tends to take on an internally prograde orbit about the equator. Body N maintains a mostly spherical shape while it is gravitationally compressed around Jupiter’s center. Eventually this large viscous mass accumulates enough orbiting momentum from the core that it emerges into other layers of Jupiter’s internal structure. Once body N reaches the middle and upper atmosphere its surface area is sizzling against the much cooler winds. The fast turbulent winds are slightly increasing its momentum in the pro-grade direction. As these winds hit this large internally molten mass they may cool the outer surface helping to solidify its mostly spherical geometry. The surface also takes on silicates, sulfurs and many other diverse compositions of matter as it interacts with atmosphere and continues to orbit away from Jupiter’s geometric center. Jupiter’s winds create very large pressure and thermal gradients with the exposed surface area of body N. The effects of which are a huge red storm in the upper atmosphere. While body N orbits internally closer to the equator, the storm presents itself in the southern hemisphere. This is due to Coriolis effects and one very fast separation jet stream around Jupiter’s equator. This very fast lighter colored jet stream lies between distinctly red layers. Jupiter’s equatorial jet stream is due to the tidal forces and jet stream pulling effects of Jupiter’s closest moons and its fast rotational inertia. As this equatorial jet stream is fast the upper atmosphere is clearer of the heavier red elements. Further the distinct reddish cloud build ups in turbulent red and clear atmospheric rings support this theory. As body N gets closer to the upper atmosphere of Jupiter the red storm will get smaller and faster with respect to Jupiter’s rotation. The red storm may also move more towards the equatorial middle. Eventually body N will exit the upper atmosphere joining the first Galilean moon family around Jupiter as a new satellite moon. We see evidence of other swirls, spots, and variations in Jupiter’s atmosphere. There could be other bodies internally to Jupiter undergoing this very process. Jupiter’s large atmosphere with many spots, colors, and swirls also present signs of matter falling into Jupiter. As I contemplate other gas giants I see evidence of this body N, mass momentum, and gravity theory. Each planet has unique characteristics, magnetic peculiarities, spots, atmospheric momentums, and orbiting relationships. The gaseous giants may each be a classification of Body N planets of their own. When I contemplate Earth’s origin I find it highly statistically likely that Earth was once a product of this process with Jupiter. An early Body N Earth eventually broke away possibly due to an entanglement with the moon and settled into a prograde orbit around the sun. Our moon is likely to have been a part of Earth’s orbiting relationship with a similar origin from a Body N within the planet Jupiter. It is also possible that Earth's origin as a Body N began with an earlier version of the sun in its solar life cycle, however our simulations and analysis show Jupiter as the Earth's and Moon's origin. Either way there is evidence of a solar system life cycle with the creation of planetary bodies including large gaseous planets like Jupiter and rocky planets originating from large gas planets. Other far off planetary systems have similar make-ups with planetary positions and originations of rocky ocean planets similar to our own solar system. We will find consensus around this planetary formation theory. Please see "Unlocking Jupiter, gravity, and more discussion on mass momentum, continued analysis - Jupiter" for more discussion of Jupiter and planetary formations. Among scientists and physicists there is both contention and fascination with the concept of space-time, travel at the speed of light, and absolute zero. Holding absolute constants in physics thinking is a limit to scientific progress. Trying to unify all of physics into one equation or poetic formula would be a tragedy as well. The notion that travel at the speed of light would result in time travel to the future or significantly less experienced time than Earth counter parts is to put it politely, incorrect. Time is a human notion to measure events. Let’s say we build a 1 g space ship, i.e. a space ship that could sustain thrust at approximately 9.8 m/s2. If this ship left to a far off destination it would take approximately 1 year to reach the approximated speed of light. If the ship were to then go on a random voyage that put it back in Earth’s vicinity some time later, communications with onboard passengers via delayed and relayed emails would indicate that everyone on Earth had aged similarly to passengers on board provided space life is comfortable and nutritious. Mass momentum and gravity do not depend on time. Gravity waves are not a bending of some space-time continuum, they are a mass momentum reality. We can measure or try to predict using math the amount of time or number of orbits that a body may take. We may also determine based on mass the amount of gravitational force a body experiences. Clocks no matter how we build them, i.e. 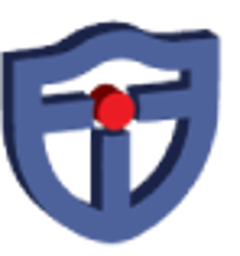 cesium atomic, mechanical or digital, are nothing more than inefficient accelerometers whose display slows down or speeds up due to the gravity, pressures, and temperatures they find themselves in. Space travel clocks may include more efficient accelerometers to help correct their time relative to Earth. Light does not depend on time nor is the velocity of light constant, though we have defined a second as the amount of time it takes for light to travel a certain distance at 2.998x108 m/s. Light is nothing more than an observed energy at a narrow range of frequencies by our human organic instruments. Our eyes use photo receptors which are simple thin layers of evolved elemental matter used to break down these wave energies into neuron signals that our brain then assembles. Light is affected by gravity so we have proof that it obeys other physics tendencies. Gravity lensing is proof that light is both gravitationally dependent, and its velocity vector can be affected and thus is not constant. Science once believed that nothing could or would go faster than the speed of light. In recent years we have observed many high energy particles that travel faster than the speed of light. We have also developed materials and mediums which slow light down or speed it up. Absolute zero is also a limiting concept. We have detected much colder things in the universe and have seen evidence of much colder regions flowing in space. To simplify all of physics and say that there is a floor temperature that nothing can go below and that all atomic energies cease is neither right nor can it be assigned absolutely. The truth is we find that mass energies break down at a wide variety of temperatures and pressures. We will also find that we can reassemble elements in new much lower stable temperature ranges. All of this being said, our periodic tables and physics formulas do give us basic results + or - 20%. Experimentation and engineering will help us apply physics in ever expanding ways. To read more about Jupiter and the continuation of Body N analysis please see Unlocking Jupiter, the Purpose of Gravity, and more discussion on Gravity Mass Momentum, continued analysis of Jupiter and its Moons. Have you heard of Good News Mars and Company?